Welcome Cocktail with Meat & Cheese boards and live jazz music at the Roxy Hotel. Sunday Brunch at a Rooftop Garden with live music. 5 Hour Private Shopping Tour including bubbly & snacks. Hosted by a professional from the industry, visiting exclusive clothing, handbag, jewellery and shoe design stores at discount prices. Visit to the beautiful Aire Ancient Baths for a rejuvenating soak and a 30 minute massage. Guided cycle tour through Central Park, stopping at many famous movie scenes. Suggested hidden bars cafes and restaurants. 3 day New York Pass including hop on hop off bus and fast track to major attractions & sightseeing icons. Cocktail and famous burger at The Roxy Hotel. A visit to Dry Bar with Bubbly for a blow dry. 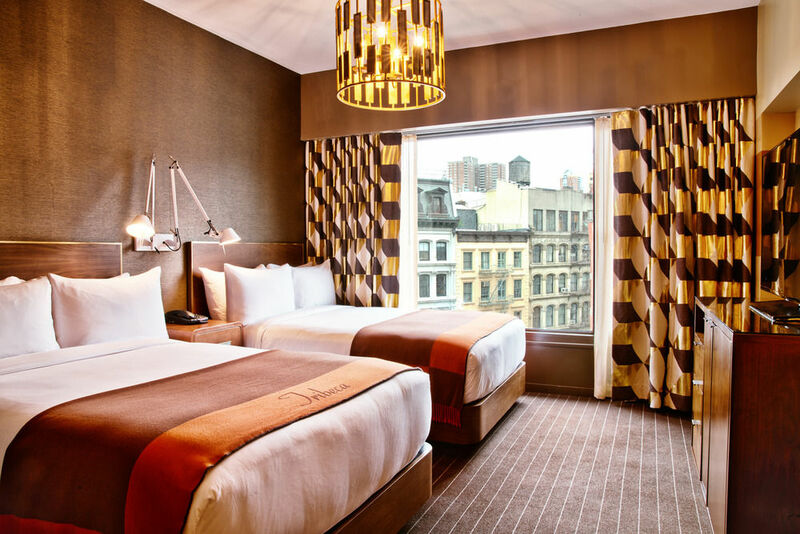 Based in the Tribeca and Soho districts, this escape will see you accommodated at the luxurious Roxy Hotel where you'll be treated to spacious rooms and elaborate furnishings. 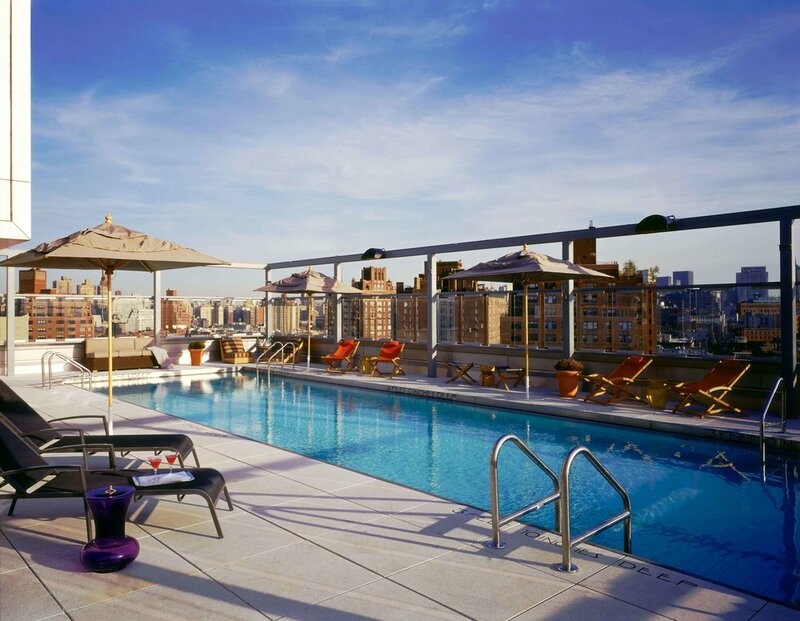 From here, you'll be well placed to explore the vibrant lower west side and further into New York. Over your 6 nights in this beautiful accommodation, you'll be led by a New York insider, through a series of indulgent girly activities. 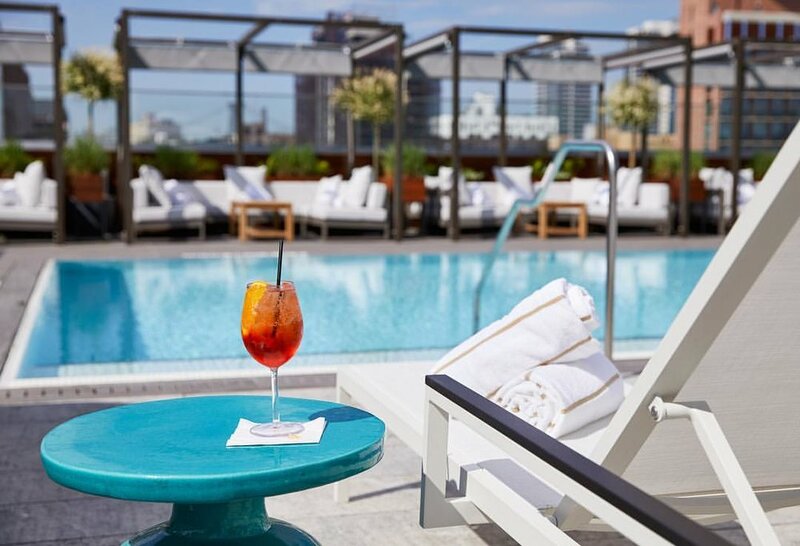 As a quick run-down, these will include exclusive shopping tours to private designer clothing, jewellery and hand bag boutiques, blissful spa sessions at stunning ancient bathhouses and rooftop cocktail sessions at scenic roof top bars. Of course, any New York trip wouldn't be complete without ticking off some bucket list essentials so this trip comes with a 3 day hop-on hop-off pass, allowing you to visit those icons most important to you. Sunset Hues & Sky Scraper Views also includes a cycle tour of Central Park with an experienced tour guide who will fill you in on the area's history and a number of tour stops at NYC classics including Magnolia Bakery and exclusive underground tavern, Minetta's. Designed as a Travel Meet Up, this trip may be booked solo or with a bestie as you will join up with a a small group of women for the duration of the getaway. This trip has also been designed to allow you some free time to tick off any personal bucket list items or enjoy some time in NYC with just your bff. Grab your girlfriend and secure your spot on this girly trip of a life time! A reasonable amount of walking will be required throughout the itinerary. If you require flights, GG has partnered with a division of Flight Centre and can help you organise your flights for your added convenience. Approximately $1800PP return as a guide.